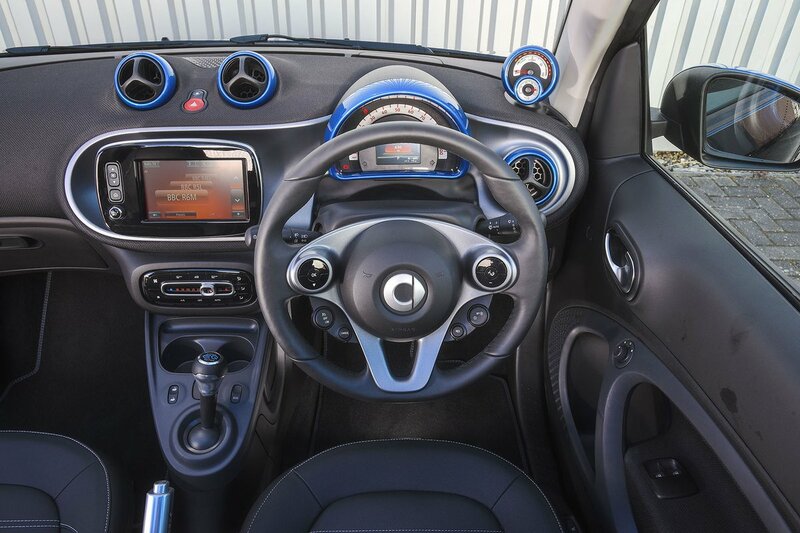 Smart ForTwo EQ Interior, Sat Nav, Dashboard | What Car? Both the steering wheel and driver's seat have height adjustment as standard, enabling you to find a decent driving position. It’s not perfect, due to a lack of steering wheel reach adjustment, but the same is true of the e-Up, and the Zoe’s driving position isn’t the best, either. 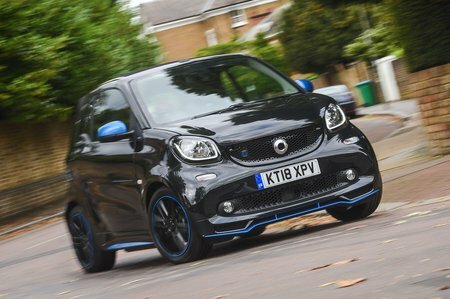 You sit quite high in the Fortwo EQ, giving a good view forwards, but its thick rear pillars obstruct over-the-shoulder visibility. Add the reasonably priced Premium Plus pack, though, and you get a rear-view camera, as well as automatic lights and wipers. The cabin is solidly constructed, with an attractive array of glossy plastics set against a fabric dash, although it is difficult to ignore some of the cheaper-feeling, Renault-derived switches that are dotted about. 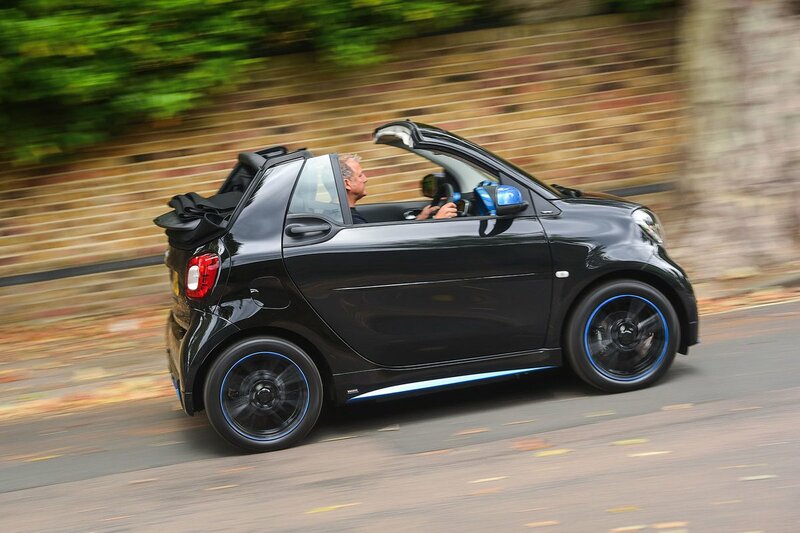 Smart's inbuilt 7.0in Media touchscreen is actually a Renault unit, too, similar to the one you get in the Zoe. Navigation is included, but the menus can be unresponsive and a little confusing. Apple CarPlay and Android Auto smartphone mirroring are standard, letting you bypass the Renault software and use your phone’s functions, such as internet radio and sat-nav, instead. Oddly, you have to pay extra for a DAB radio unless you order the 22kW on-board charger model, in which case this is standard.